Horse Heaven!! Fabulous Land & Picturesque Setting to DIE for! 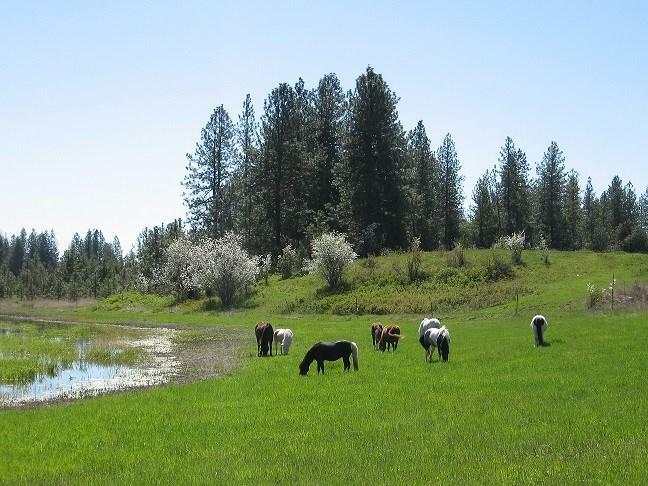 120 AC that offers views & serenity at it's best just min to downtown Spokane! Live in a cozy farm house while you build the home of your dreams! This cute little farm house would make a great rental or caretakers home also! Numerous opportunities! Divide into 10 AC parcels (rare in that area). Outbuildings, a shop, picturesque barn & hay storage. Ponds, rock croppings & gorg fenced pasture for your animals! Btfl productive hay fields & timber!